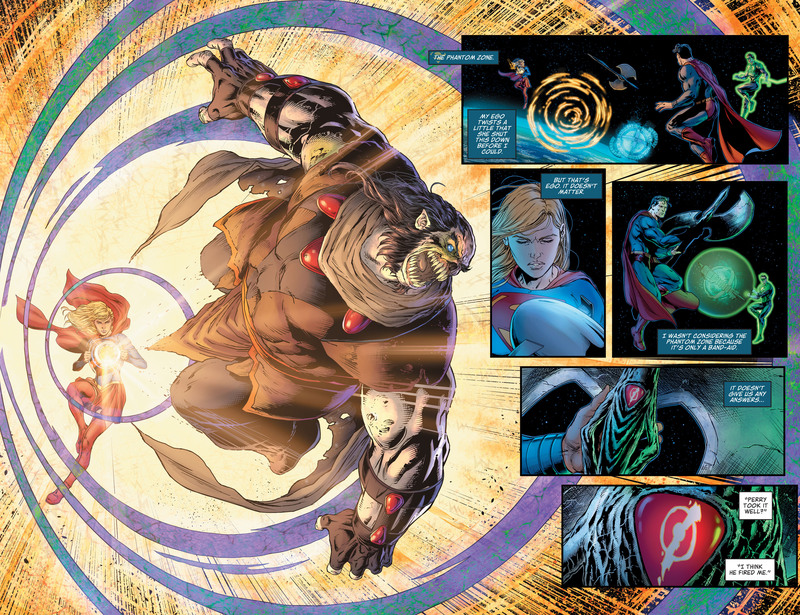 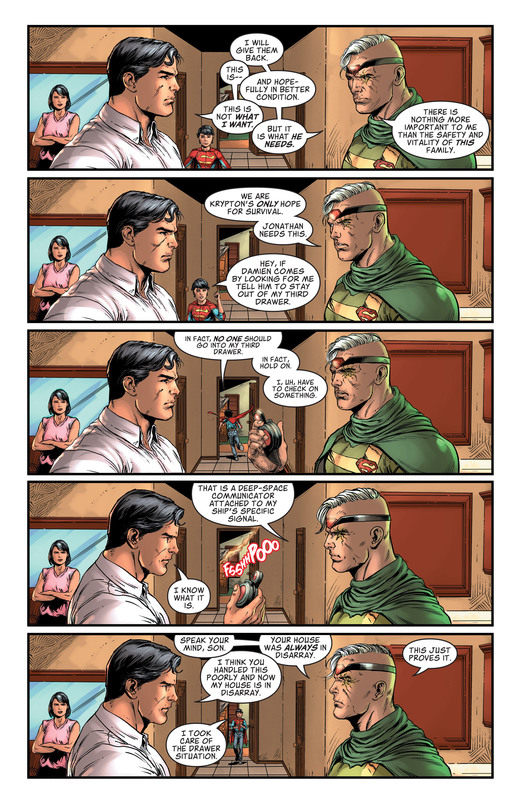 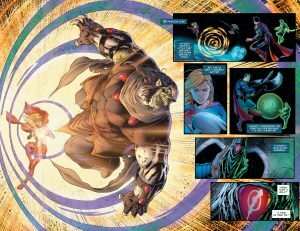 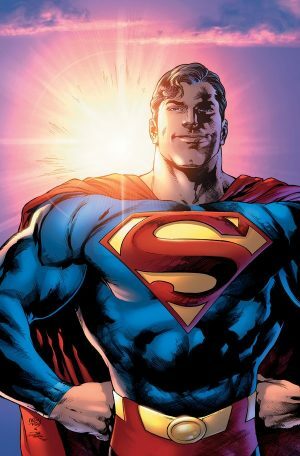 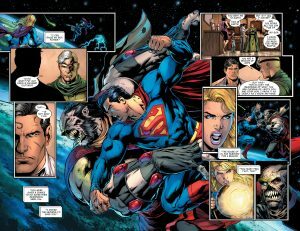 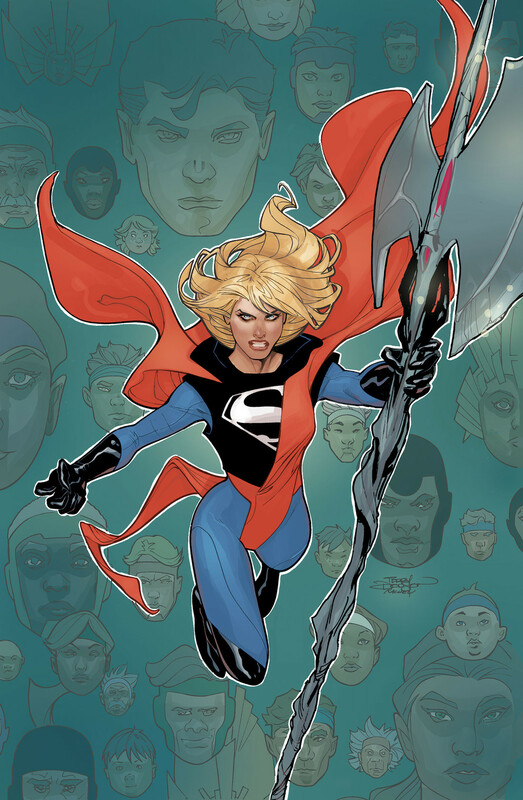 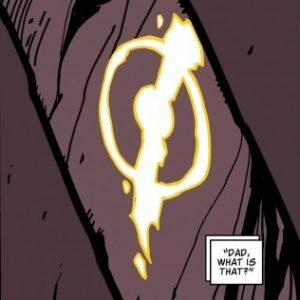 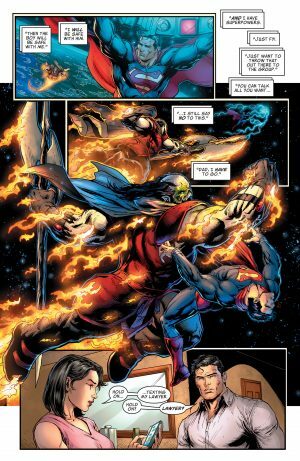 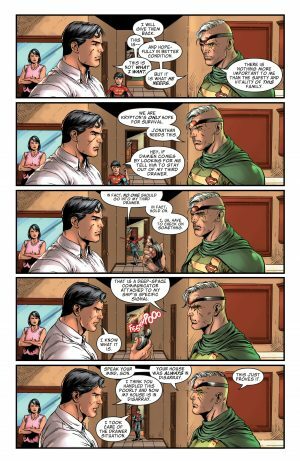 DC Comics Universe and The Man Of Steel #6 Spoilers follows. 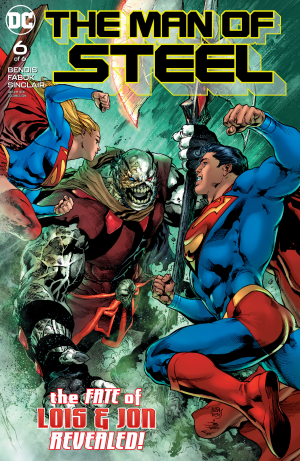 How Is Rogol Zaar Defeated, Why Are Jon Kent Superboy and Lois Lane With Jor-el / Mr. Oz and More On Road To Superman #1 and Action Comics #1001? 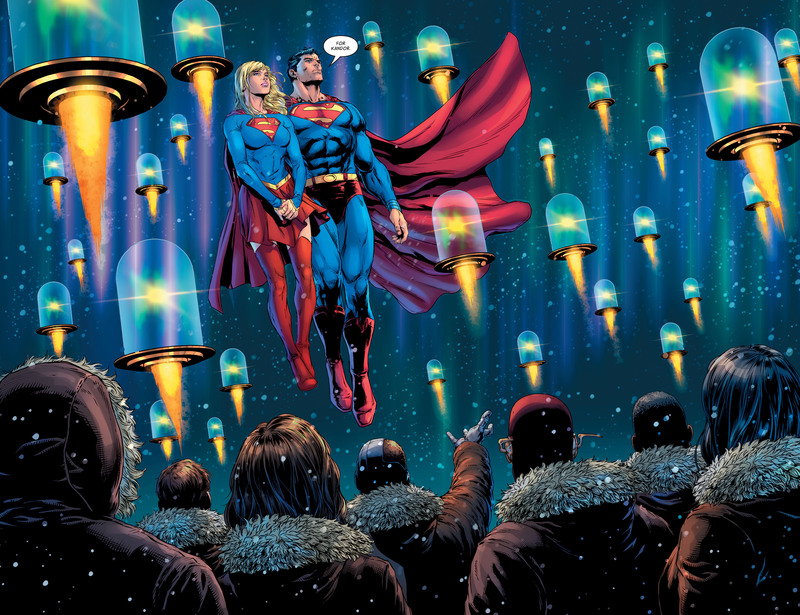 In this issue we pivot between the past and the present. 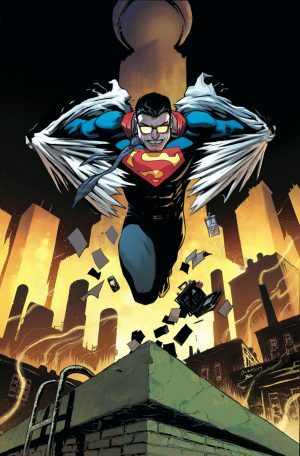 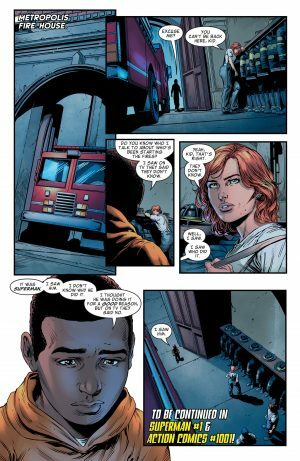 In the past, we’re focused on what happened to Superboy and Lois Lane; why they are MIA in the present. 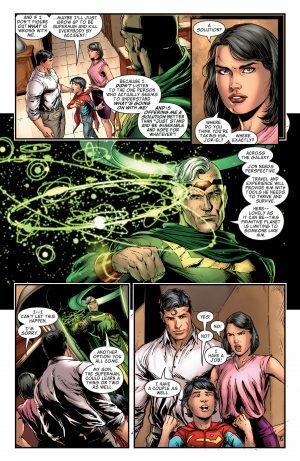 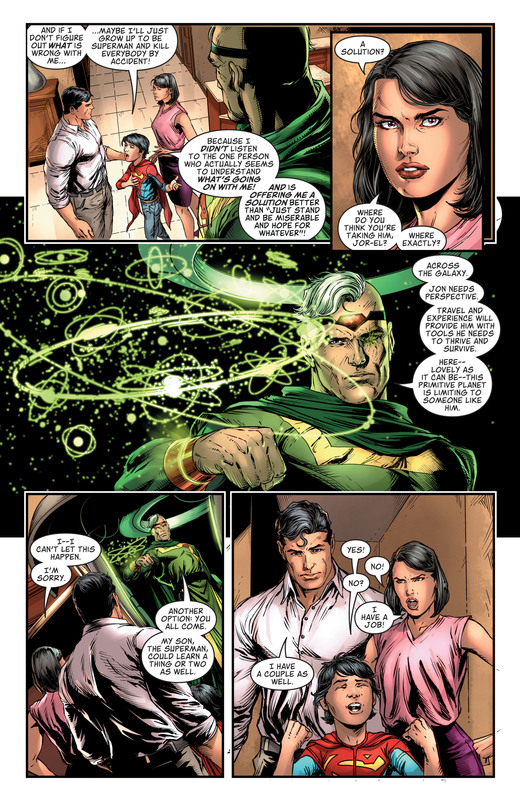 Well that is because Jor-el aka Mr. Oz, Superman’s father and Superboy’s grandfather, seems to genuinely want to help give his grandson perspective by traveling the Galaxy. He understands that Superman is warry so offers to have Lois Lane and him join them on their galaxy quest. 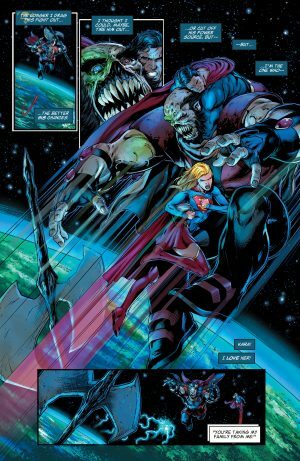 In the present, we’re focused on Superman trying to stop Rogol Zaar from destroying the Earth because it has Kryptonians on it. Superman steals Rogol Zaar’s world destroying device from Earth’s core and flies into space where they battle. Lois Lane in the past has a second book on the docket from her publisher so can use that as a cover to explain her absence. 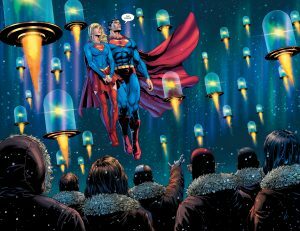 She plans to go with her Superboy and Mr. Oz on their galaxy quest; Superman sees his family unraveling or so he believes. 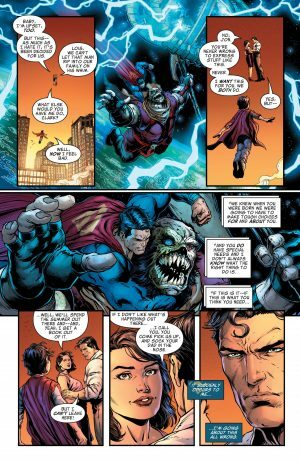 Lois Lane explains her rationale and that if anything is untoward, she’ll call Superman and he can beat Mr. Oz / Jor-El up. 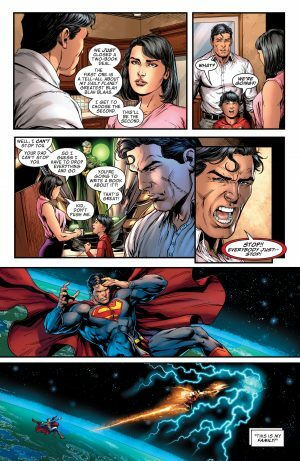 …while in the past an upset Superman, Kal-el of Krypton and Clark Kent of Earth, confronts his dad Jor-el / Mr. Oz about him tearing his family apart despite what seems like pure motives. …Supergirl banishes him to the Phantom Zone! 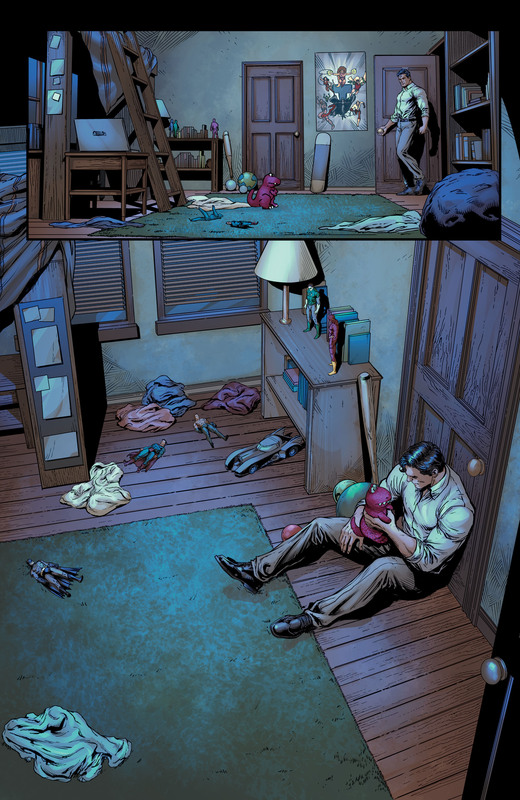 …leaving him alone and very human. …Superman has been starting the fires she’s been dealing with in Metropolis all through Man of the Steel mini-series?! 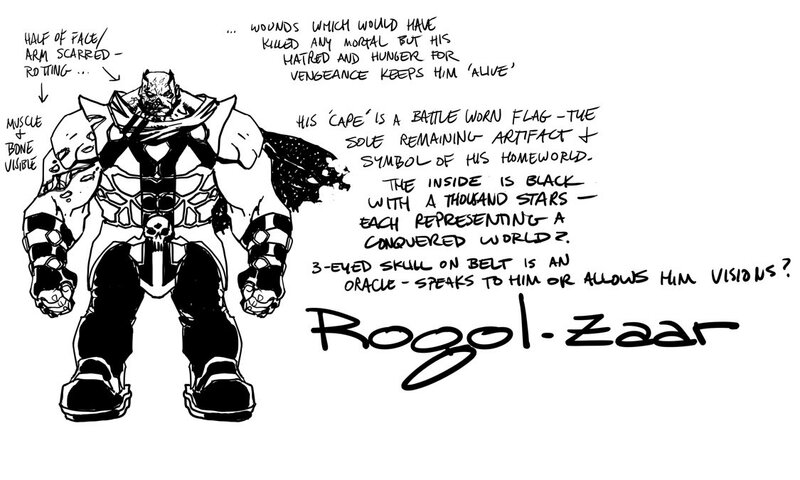 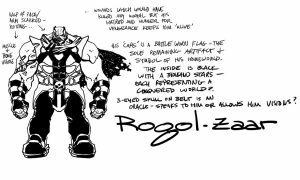 …seemingly with four costumes and Rogol Zaar’s staff likely to uncover its powers and what that symbol on it means. 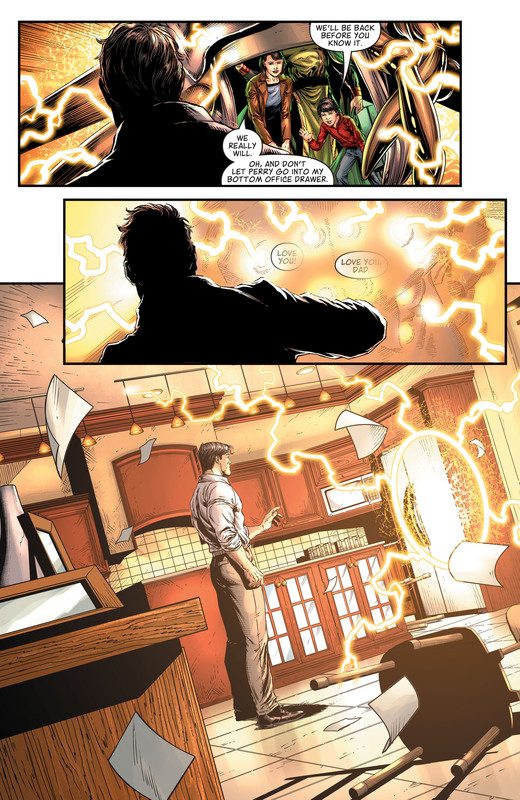 …doesn’t seem to provide enough clues though.